Posted <2017-06-17 Sat 19:36> by Aaron S. Jackson. 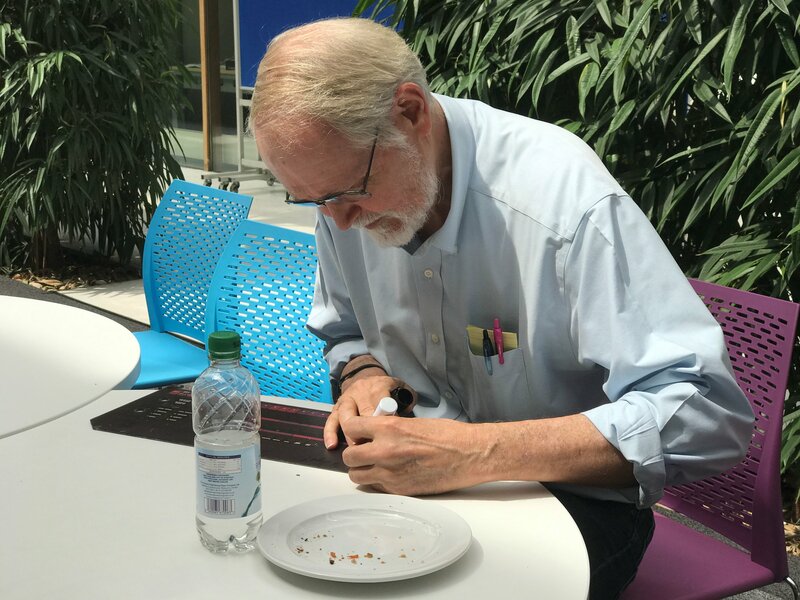 Brian Kernighan came to Nottingham for another university visit this week. He gave some talks, the most interesting of which was titled "Millions, Billions, Zillions: Why (in)numeracy Matters". The theme of which was about getting a rough idea of numbers to make it easier to spot outrageous claims, in for example, a newspaper headline. 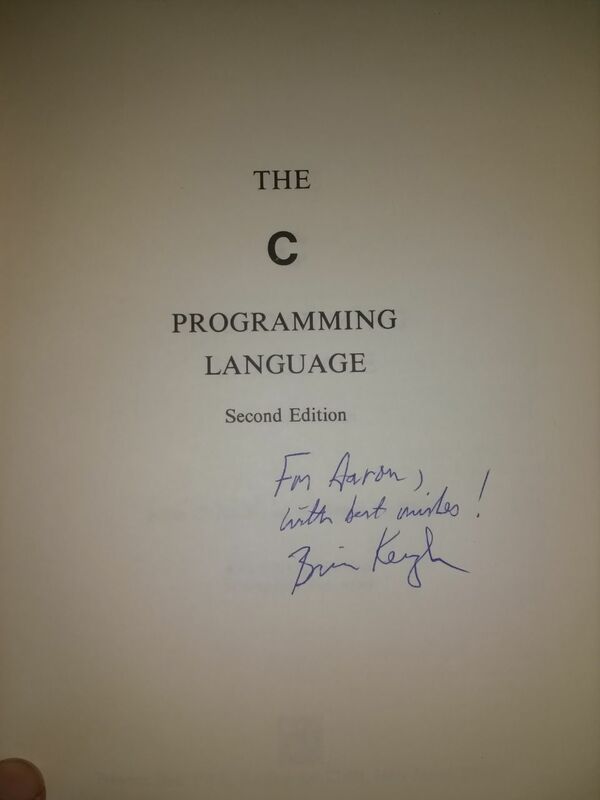 After his first talk, I nervously approached him with my copy of The C Programming Language, and asked him if he would mind signing it. 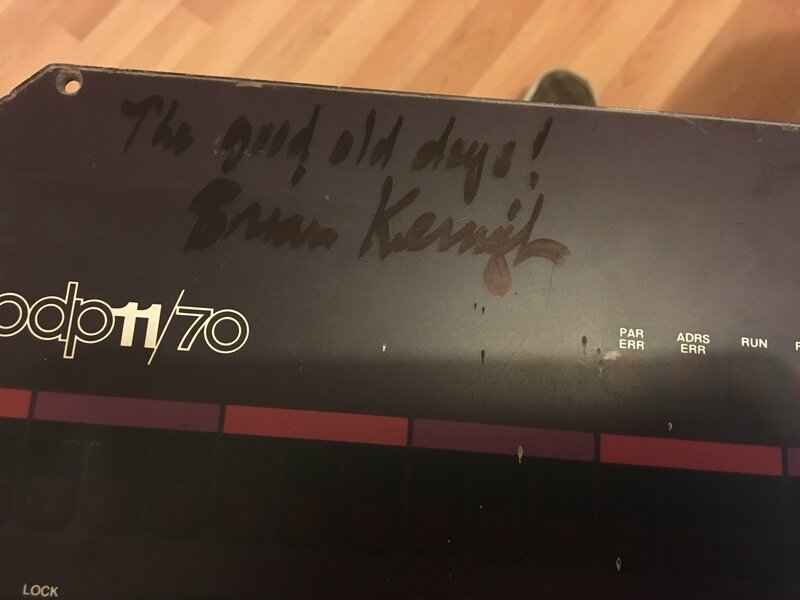 Marc (bnl) got his PDP-11/70 front signed. Overall, a seemingly nice guy and it was a pleasure to meet him.